We’ve all heard that we should be more compassionate with ourselves but what exactly does this look like? 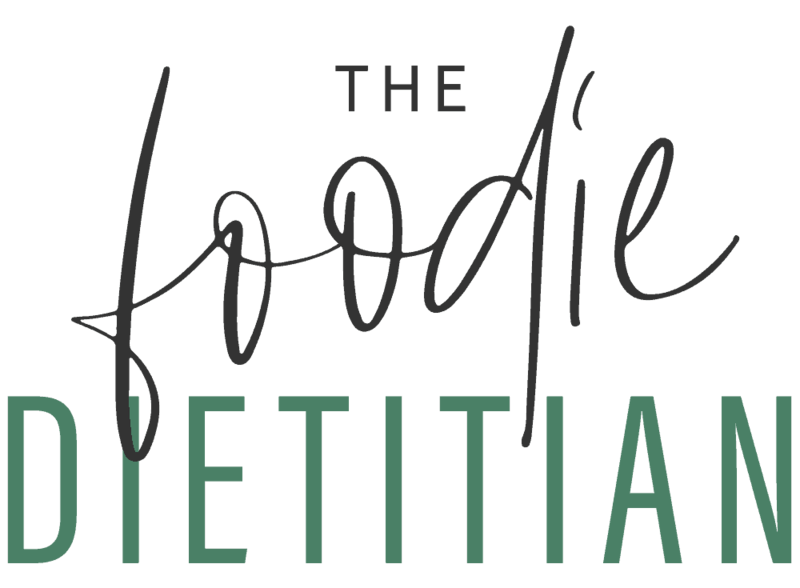 Today we’re breaking down how to practice self-compassion and why it’s so crucial to your intuitive eating journey. Self-compassion is a phrase that gets thrown around a lot. If you’ve ever done work on yourself whether with a therapist or dietitian, you may have been asked some form of the following question, “Can you be more compassionate towards yourself?” Um, maybe? You might be thinking what would that even look like? That’s where I was not all that long ago. As someone who grew up being taught to be hard on herself and hold herself to really high standards, I’ve been on my own self-compassion journey too and I’m still a work in progress, like most of us are. But showing up and doing the work has helped me to have a better understanding of self-compassion and has helped me be better able to guide my clients on their own self-compassion journey. Self-compassion is key to eating disorder (ED) recovery and making the transition from dieting to intuitive eating. Why? Because recovery is not a straight line. I like to think of it as an upward spiral, you will move up and then fall back, move up and fall back, but the momentum is always up, despite the setbacks. 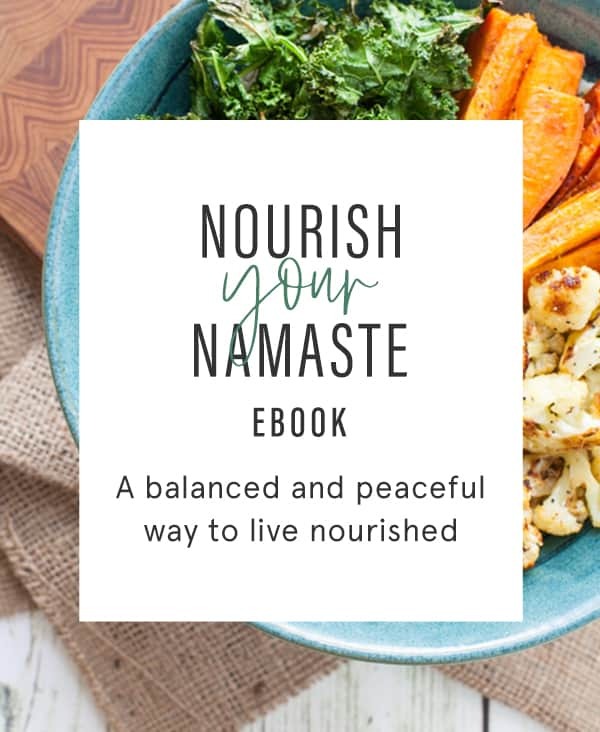 Because this work is so hard, you will feel like you have days, weeks or even months when you’re struggling, when you feel like you’re not making progress, when you override your internal cues, when you fall back into diet mentality or ED thoughts. And what happens in diet culture or ED when you slip up? You push yourself harder, you restrict more, you overexercise, and beat yourself up. And what does that result in? Do you feel more motivated? Do you feel more confident? Perhaps there is a false sense of control but my guess is it just makes you feel even crappier about yourself, which ultimately will lead to more self-loathing and self-destructive behaviors. Self-compassion is a well-studied construct that shows benefits to body image, eating behaviors and eating disorders. Because it turns out that being hard on yourself isn’t very motivating, despite what our culture has taught us. But self-compassion is motivating and can help us want to treat ourselves with kindness and engage in self-care behaviors. I learned everything I know about self-compassion from Dr. Kristin Neff, the author of Self-Compassion: The Proven Power of Being Kind to Yourself. I highly recommend her book, although I do like to put out a warning that unfortunately there are some diet culture triggers in there. Or, you can start with her TEDx talk on self-esteem vs. self-compassion! Neff breaks down self-compassion into three main tenets: self-kindness, common humanity, and mindfulness. You make a mistake. You have a setback. Do you start to self-criticize and judge yourself? That’s certainly what diet culture would have us do. Instead, with self-kindness, you recognize your imperfect nature as a human being and shower yourself with understanding and warmth. When you come up short or feel yourself struggling, you might automatically feel isolated, like you’re in this all by yourself. Those pervasive feelings of isolation will ultimately lead to more suffering and shame. Common humanity helps us recognize that as human beings, we all suffer. The very nature of being a human being is being imperfect and vulnerable and we can take solace in knowing that we aren’t alone in our suffering, that this is a shared part of the human experience. When we fuse with our thoughts and feelings, we let them take us away on a narrative and feel like we become our thoughts and feelings. We give them more power than they deserve. When you have a difficult thought or feeling, perhaps one of two things happen, you ignore the thought or feeling and try to dismiss it or you attach to it and identify with it. This is such a normal and common reaction because of course, why would we want to feel discomfort? But it’s not productive. We all know that if you try to bury something under the rug, it’s still there and eventually will resurface, probably with even more power. And if you over identify with a thought or feeling, it will probably be challenging to remember self-kindness and common humanity. The practice of mindfulness helps us to sit with our thoughts and feelings, observing them without judgment or criticism, so that we’re neither suppressing nor over identifying with them. 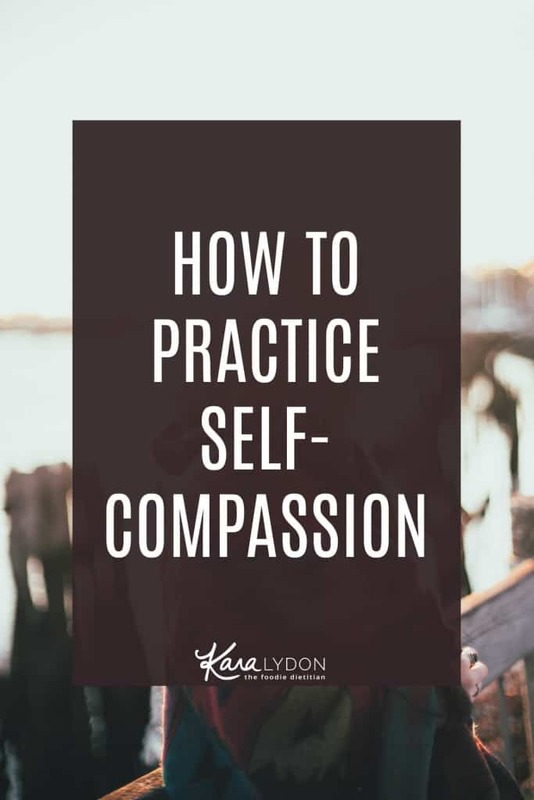 So now that you have a better understanding of what self-compassion is, how do you actually put it into practice? Let’s break it down into those three tenets. I like to think of self-kindness as talking to yourself as if you were talking to a good friend. What if your best friend was having a challenging body image day and was feeling really bad about herself? Would you criticize her and judge her? Probably not. What would you say to your friend? Maybe something like “Oh, sweetie. I’m so sorry that you’re having a challenging body image day and that you’re feeling crappy. But I want you to know that you’re not alone and I love you no matter what.” What would it be like to utter those words to yourself? To call yourself a term of endearment. To tell yourself that you understand how hard this must feel and that you’re here for yourself and love yourself no matter what. Another way to practice self kindness is through physical touch. Can you rub your arm in a gentle, warm way? Can you wrap your arms around yourself as you were giving yourself a hug? Touch can be very healing and therapeutic and there’s no reason we can’t offer up that warmth to ourselves. One way to practice common humanity is to think about all the other people who are currently experiencing a similar type of suffering. Remind yourself that you are not alone in your struggles and pain and shortcomings. That we are all imperfect human beings and therefore we all are going to feel suffering and that’s just part of being human. To really experience the shared suffering of humanity, you can experiment with a meditation practice called tonglen. Like intuitive eating and ED recovery, self-compassion is a practice and journey and won’t happen overnight. If we apply black-and-white thinking to self-compassion, we’re kind of missing the point of the practice, right? Notice if you find yourself criticizing yourself for not being self-compassionate enough and use that as an opportunity to practice. 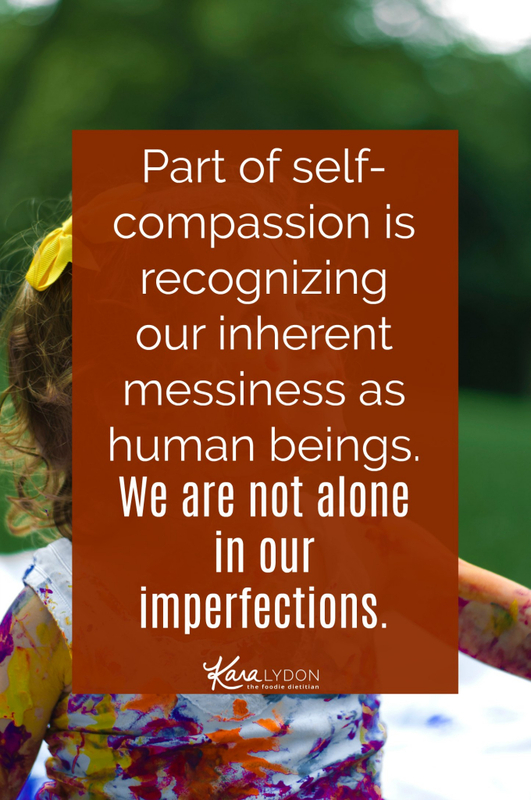 There’s no perfecting self-compassion because remember we are not perfect robots, we are imperfect human beings and being a human is messy. So allow your self-compassion practice so be messy and imperfect. As my yoga teacher says, “practice makes practice” (not perfection). The most important part is just showing up and trying. Overtime, hopefully some of these practices will feel less awkward and uncomfortable and more second nature. So what’s one practice you can try today to show yourself some self-compassion? I’d love to hear your thoughts in the comments below! Thanks for this post. We often have a tendency to be too hard on ourselves and while it is sometimes important to be rigorous, I believe that is also important to recognise that sometimes things can get difficult. 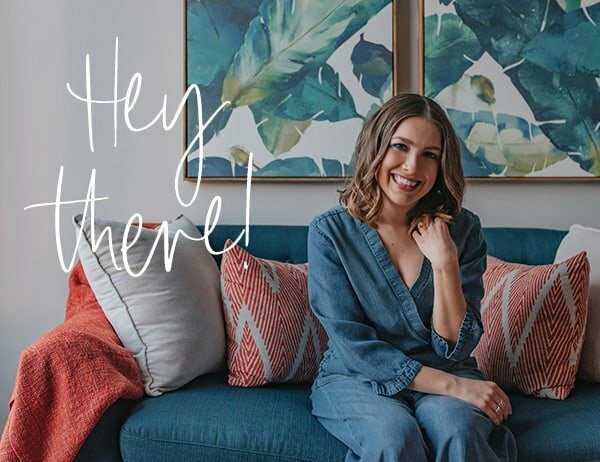 Really enjoyed reading this post, Kara! Great book rec also- always looking for more ways to practice self-compassion and being more kind to myself! Thanks, Shannon! Glad you appreciated the reco! Awe, thanks for sharing this Rebecca! Yes, curiosity without judgment can be such an important tool! This is such an important idea. I think many of us find it easy to be compassionate with other people but we hold ourselves to an impossibly high standard. That always makes me sad, as it seems like we should be kinder to ourselves. For sure, Vince! It’s always so much easier to be kinder to others. We have to start treating ourselves like we would a good friend! Such a great post, Kara! I really enjoy reading your work! And thanks for recommending the book, Self-Compassion: The Proven Power of Being Kind to Yourself, in addition to Insight Timer! I really like doing gratitude meditations and appreciate their ability to make it easier to practice self-compassion!